Like a blooming flowers in a garden ArtDeco shade 435 blossom is here to brighten up your spring season. As summer has passed away and spring is finally knocking the door, regardless of the time of season of our life to wear something which makes us delightful and bring colors to our dull, busy and bored life. I adore orange and coral shades in lipsticks, coral is my second love after red lipstick and spring is a perfect season for wearing such vibrant shades. 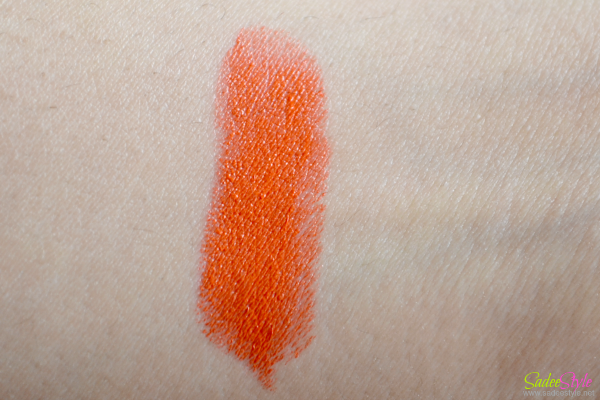 When trying out orange lipstick shades I had a wonderful experience with Illamasqua lip liquid Exotic was a perfect orange lipstick shade. Although I was completely satisfied with Illamasqua lip liquid but I could not resist myself to buying Artdeco shade 435 ever since I saw it on Artdeco stand due to its marvelous packaging which definitely gives it a full marks. 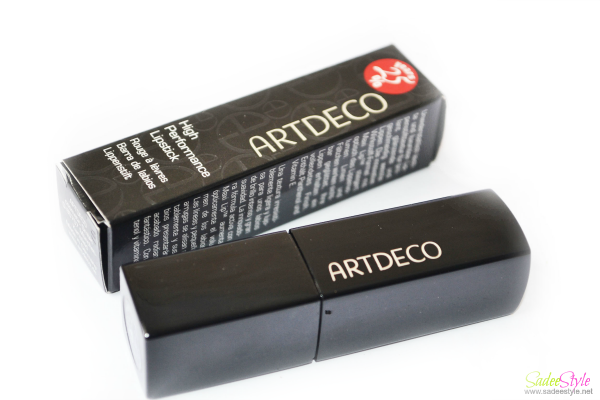 Nothing can compete with Artdeco's amazing and mouth watering packaging which make it professional yet classy and easily can be compared with any high end brand of lipsticks. 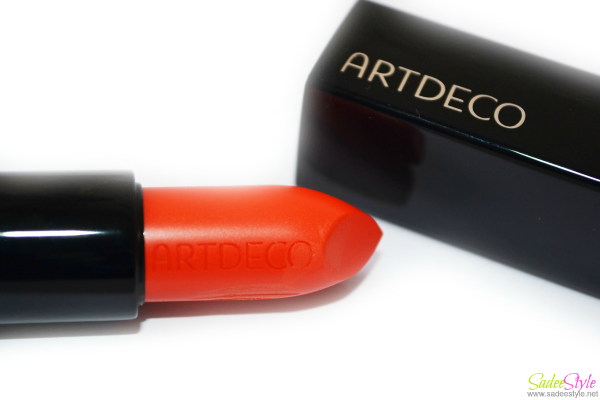 I usually do not fell for super expensive high end brands cosmetics which kill your bank but Artdeco lipstick tempted me to go for it in first glace. 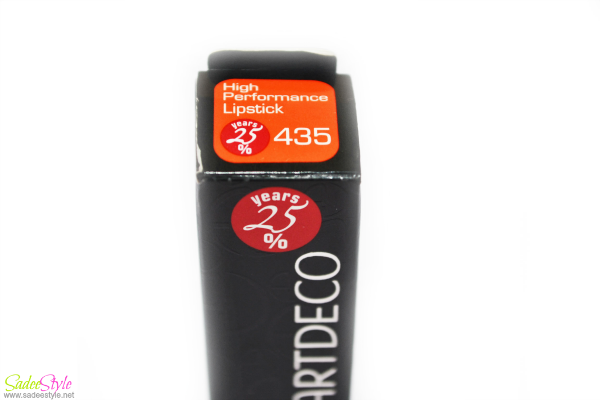 A marvelous lipstick came in a strong and sturdy metal tube, you can clearly see the Artdeco carved on the lipstick which is an eye catching attempt to attract and impress consumer. I'm a huge fan of a cute and amazing packaging of cosmetics and artdeco never failed me with its extra ordinary packaging and quality. Not just their lipsticks range is beautiful but every product of their range is highly professional. I love and instantly impressed with the soft consistency of the lipstick which glides smoothly on the lips and color is perfect for spring and summer season. It smell normal and color payoff is amazing. I somehow feel that it will suit more on a girl with light skin tone due to its sharpness in color. However, I'm a one with fair skin tone so suited me better but I would recommend girls with dusky or dark skin tone to go with darker and subtle shades for perfect coverage. Although I can be wore in any season but I found spring and summer more suitable for wearing such vibrant shades. Not easily available on stores. Color is bright and not suitable for dusky skin tone. I'm really happy with the color I have picked would definitely recommend all coral/orange color to go for this. For Price inquiry please visit near stand of ArtDeco Official Facebook Page. OMG !!!! Such a pretty coral shade. I loved is ... Well coral is my second love too (after red). :) Lovely review. Wow lovely color!!! Nice blog!!! Would you like to follow each other? let me know... and I follow you back. This is such a pretty color but not everyone's cup of tea. Very nice review. such a pretty Orange ! I have an few oranges and I love them ....this one definitly makes up to the list !